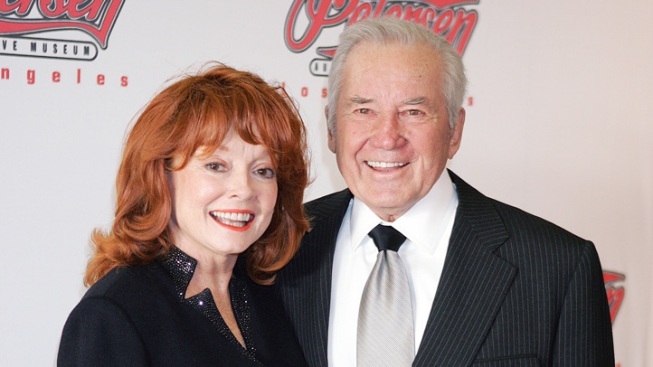 Margie and Robert Petersen at the Petersen Automotive Museum's 2005 Cars and Stars Gala. Philantropist and co-founder of the Petersen Automotive Museum Margie Petersen died Friday at her Beverly Hills home. Petersen died after a 20-year battle with cancer. She was 76. Petersen and her late husband were co-founding benefactors of the museum, located at Wilshire Boulevard and Fairfax Avenue, in June 1994. Robert Petersen died in 2007. The couple donated millions of dollars to the museum, turning it into a four-level celebration of the LA's automotive history. It is home to about 150 rare and classic vehicles, rotating galleries and a learning center for children. Margie Petersen also made significant contributions to several charities, including the Amazing Blue Ribbon of the Music Center, Childrens Hospital Los Angeles, The Diadames, The Los Angeles Orphanage Guild, The League for Children and Childhelp U.S.A. In 2008, the couple gifted $15 million to St. Johns Health Center and the John Wayne Cancer Institute, where the Margie Petersen Breast Center was named in her honor. Petersen, born in New York, worked as a professional model and appeared on hundreds of magazine covers. She also appeared in TV ads, including campaigns for Coca-Cola dn Ivory soap, and acted.